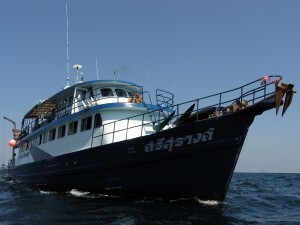 Scuba Diving and Liveaboards Phuket, Thailand » Blog Archive » The WOW Factor ! We were joined by our new customers on MV Scuba Adventure at Chalong and then we headed overnight to the Similans with calm seas. Our check dive was on Anita’s Reef. This is a beautiful sloping reef with pristine white sand that is home to many garden eels and rays. The main feature is the stunning coral pinnacle that is covered in a gorgeous plethora of corals. The trevallies and rainbow runners were in hunting mode as there were so many glassfish. After the dive we headed to Koh Bon were we did two dives on the Reef and the West Ridge. Lovely dives with fantastic visibility, but alas no mantas. However, the marine life was prolific with beautiful schools of five line snappers, golden trevallies, lion fish, mantis shrimps and so much more. We then heard a whale shark had been a spotted at Koh Tachai Pinnacle on the radio, so we headed there for our last dive of the day. Koh Tachai Pinnacle is Kath’s favourite dive site and for good reason. It is a dive site that can throw the unexpected. With no current it was kind to the divers as it was minimal however, the action was amazing with the predators hunting in a frenzy and the resident huge school of barracuda was spiralling close to the pinnacle in a hypnotic way. Day 2 and it was decided that if there was a chance to see a whale shark we would do our first dive on Koh Tachai Pinnacle. 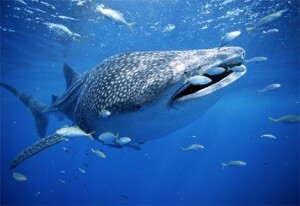 We were the only divers initially on the pinnacle and it was the most amazing experience ever….1 whale shark great!!!! 2 whale sharks!!!! 3 whales sharks!!!! 4 whale sharks on the same dive….How fantastic is that?? We were blown away. When the divers surfaced a group decision was made to spend the rest of the day on Koh Tachai and every dive delivered multiple whale sharks, trevallies, and huge school of barracudas. This was Koh Tachai at its’ best. During the surface intervals we were snorkelling with them as Captain Pu managed to secure the prime mooring. What a fantastic experience for the non divers and the crew on the boat. Kath was one of the first in the water after breakfast with the snorkelers. The next morning the engines started at 5am and then we motored to Richelieu Rock for 2 dives. This is a gorgeous pinnacle in open sea. The diving was excellent with wonderful visibility. Richelieu is great for all marine life from predators to macro. We saw a host of things including barracudas, banded pipe fish, seahorses, cleaner pipe fish, a brown and white bent stick pipe fish, mantis shrimps, many different shrimps, the list is endless. Then back to Koh Tachai for whale sharks and yes we got them as soon as we jumped in 3 in total!!!! They are the most beautiful creatures. 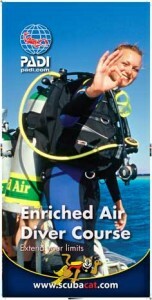 To see them glide through the water effortlessly is a delight for any diver. Kath and Matthew Cooper had the most incredible end to a dive when they were on the top of the pinnacle. Kath turned around to see the biggest manta she had ever seen coming straight for them. Screaming through the regulator Matthew turned to see this magnificent beast coming directly at them. A great way to end a magical dive!!! When we left the site as there were many boats and we decided to leave on a high and head for Koh Bon. This was a great decision as we had heard on the radio that there were manta rays. Maybe they would still be there. Captain Pu told us he was going to drop us on the reef and all we can say is thank you Pu. 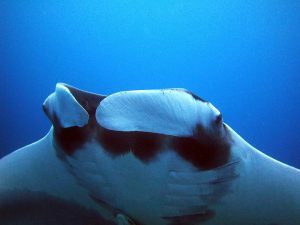 We were in the water for a very short time when we saw a glimpse of a manta in the distance. A few moments later we were interacting with 2 mantas spiralling amongst us. These majestic creatures were putting on a show and they did it so well. What a fantastic end to a wonderful day….couldn’t beat that. Day 4 and back to the Similans. Our first dive on West of Eden was a gentle dive with very little current and great visibility. This has some wonderful coral blocks and massive granite boulders which is home for a host of beautiful smaller reef fish and tiny critters such as nudibranch. A good start to the day. Then to our final dive on Shark Fin Reef, a gentle drift along the fantastic granite rock formations. Shark Fin is a stunning dive site for the topography. The amount of fusiliers on this dive site is incredible, they are like a train that never stops… The powder blue surgeon fish are amusing as they try and play with the bubbles exhaled from the divers. A lovely dive for the end of a wonderful trip. It has to be said that this trip was exhilarating, exciting and it certainly had the WOW factor. How many whale sharks do we normally see? This was one that gave us 4 on one dive site. We did 6 dives on Koh Tachai Pinnacle and 5 of them delivered the most amazing experience that we will never forget….multiple whale sharks!!!! There is also congratulations to be given to Matthew Cooper who completed his Enriched Air Speciality on MV Scuba Adventure. All the customers walked away very happy people and so did the Tour Leader. This entry was posted on Saturday, March 8th, 2014 at 11:15 am	and is filed under Liveaboards, Similan Islands. You can follow any responses to this entry through the RSS 2.0 feed. Both comments and pings are currently closed.